Thank You for Supporting Jerry’s Campaign! 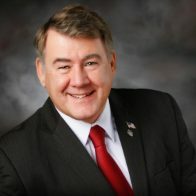 Your generous financial support will help insure principled and conservative leadership in our state government by sending Jerry Hertaus back to the State Legislature. Campaign finance laws limit contributions to a candidate for State Representative to a maximum of $1,000 per individual and $2,000 per married couple in the 2017-2018 election cycle. Corporate checks and/or donations are prohibited. All contributions are subject to campaign finance laws. You can also contribute to the Hertaus for House 33A campaign via PayPal. You do not need a PayPal account to make a contribution by credit card. Click on the button below to navigate to the PayPal site to make your contribution.